They call it ‘road rage’ and it refers to that part of us that flies into a rage against any motorised vehicle, something that goads us irrationally to furious reactions, visible manifestations of panic and tension. Available statistics show that, in addition to obvious carelessness, in recent years about 95% of accidents were caused by provocative and rude behaviour from drivers. A middle finger raised, one too many horn blasts, and all of a sudden tension rises, moods that you thought were dormant explode with heightened, useless and in certain cases totally uncontrollable, violence. 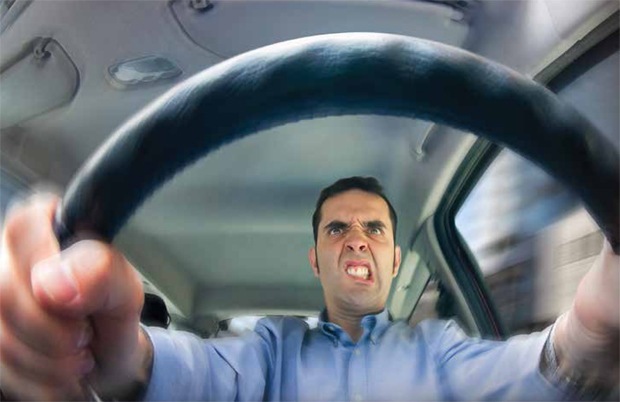 DESERT NEWS – We have all experienced road rage. Some have seen or read about the consequences of a driver losing it. There are stories of fights and even deaths because someone got offended. Others have been victims of the uncontrolled anger of their irrational companions of the road. No names will be named, but there are even some of us who have been the perpetrators of such a poor display of manners. Road rage, like other acts of human stupidity or baseness, gets all the press. Yet no one has ever heard of “road rave.” Road raves are acts of thoughtfulness, selflessness and kindness performed by fellow drivers. They are the opposite of their better-known evil twin. Road rave is when someone stops to let another person into the line of traffic. It is a driver who pulls over to let the others pass. It is a fellow traveler who doesn’t honk when stuck in traffic jams. Rave reviews go out to the folks who come to a complete stop instead of steamrolling through a crosswalk. Those who don’t run the yellow-red lights earn praise. As I was growing up, before LED light bulbs and text messages, my dad would talk about how he desired to invent a sign that could flash a big “Thank you!” When others displayed a gesture of generosity, he wanted to express his appreciation to them even if he couldn’t thank them personally. He couldn’t have a citizens band to say “10-4, good buddy, and thanks,” when a gigantic semi would move to the side to let him pass. Rolling down the window and having our mom yell as we passed the teamster wasn’t practical, either. He would just wave and hope he could be seen through the rear window. The worry today is that, like any technology, it could be used for good or for ill. Instead of a “thank you” button, there would be all kinds of buttons that would not add to world peace. The rudeness would only be amplified. Hackers could come up with tasteless images. We are back to the rivalry between road rage and road raves. Instead of “thank you” signs, after every ladylike or gentlemanly move, we can pass on the goodness. There would be no such thing as no passing zones. The lanes may narrow, but there would still be thoughtful consideration passed on to others. Advanced Life Support Universal Algorithm: Does remain the same in 2015?